The season's best spots in the East for skiers, according to readers and editors. RESORTS OF THE YEAR EAST - BEST OF THE EAST: Smugglers&apos; Notch, Vt. In the age of conglomerates and real estate investment trusts, everyone loves the fact that Smuggs&apos; still independently owned, reasonably priced, and locally controlled. And everyone knows it’s a place that doesn’t have a single high-speed lift. But no one gripes, and many prefer the leisurely, restful ride up knowing there’ll be fewer skiers on the trails. Read more about Smugglers&apos; Notch here. 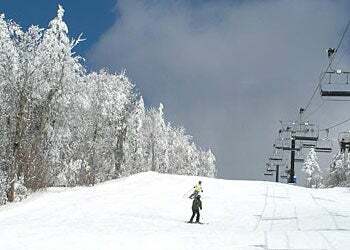 Top 10 resorts in the East for Access, according to SKI's Reader Resort Survey.